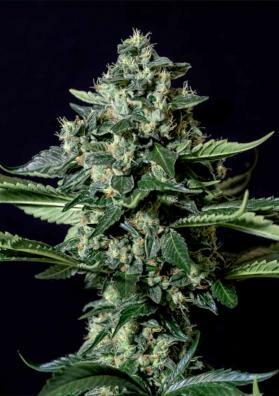 OG Lemon Bilbo is a feminized Indica Marijuana strain from Genehtik Seeds that is very stable. It has a Citric and very strong taste. flavor. After a long process of aging, the team of Genehtik has managed to create a new diamond. Created by crossing the famous OG Kush Lemon Larry from California OG Lemon Bilbo was created. This strain is perfectly adapted to Northern Spain climates, that is, cool and humid. OG Lemon Bilbo is of Indica type since it was also crossed with a very dominant Afghan strain, being the basis that has stabilized the crossing. OG Lemon Bilbo has a structure almost columnar, with branches quite close to the central stem. It produces long pistils, has an amazing appearance and is very suitable for reduced spaces. Due to its medium size, this strain is ideal for SOG and for indoor cultivations. Besides that, it also thrive well in the garden due to its resistant, both to cold and moisture, fungus or pests, OG Lemon Bilbo is a beast! The aroma and taste range from citrus and earth, a blast of scents and flavors that delight the most expert tasters. OG Bilbo Lemon provides a narcotic and very relaxing effect, a classic high from indica dominant strains.